As you tour the countryside and make memories with the family, you will want this Pinnacle fifth wheel right by your side! 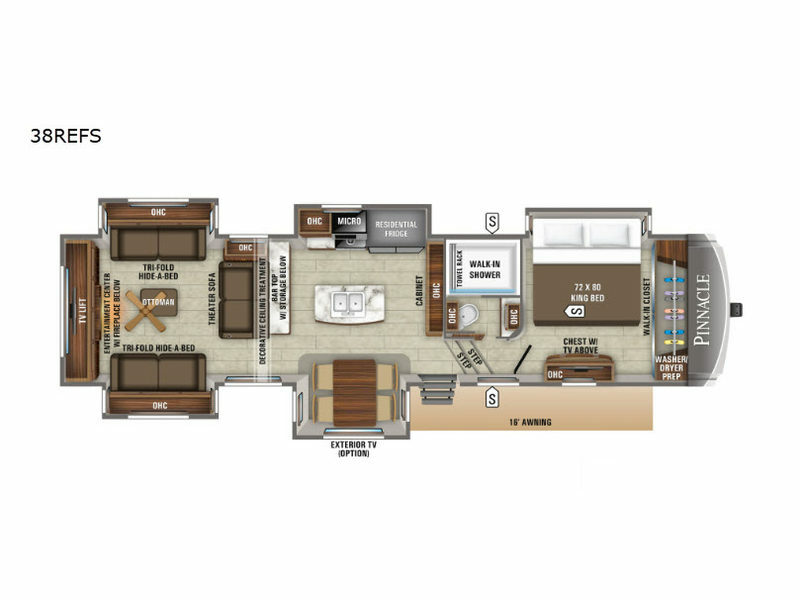 This model gives you all the space you need to enjoy yourself with five slides that open up the interior and give you room to have fun together in the rear separate living room. As you prepare dinner, you will also appreciate having the ability to move around freely as you serve appetizers on the bar top counter and clean up the dirty dishes in the double sink on the kitchen island. Nothing will be more relaxing than retreating to your own luxurious haven in the front private bedroom where you can drift off to sleep comfortably on the king-size bed while your favorite movie is playing on the 32" LED HDTV.